Costa Rica has many opportunities and locations for great shopping. There’s too and many places where you can pick up Costa Rica souvenirs to remember your vacation here! Costa Rica is famous for its nature and beauty. Also, that is certainly evident in the variety of exotic things that you can buy at the local markets across the country. Most famous of the local Costa Rica Souvenirs markets is the Mercado Nacional de Artesanias in San Jose. This place offers many traditional handmade souvenirs from vendors all located in one convenient location. For example, framed butterflies, silver jewelry, exotic wood carvings, brightly colored hammocks and so much more. You can also find local artists and merchants selling trinkets, clothes and hammocks at almost every popular beach location like Tamarindo, Playas del Coco, Playa Samara and even on the east coast in places like the small town of Puerto Viejo. Local Ferias – the place to buy fruits and vegetables! Almost every village or town in Costa Rica has a local feria. They offer the very best in Costa Rican fruit and vegetables straight from the farm. So much better than the usual visit to the grocery store. Also, local Ferias are the best places to mingle with local Ticos and experience the myriad of exotic items. There is still always something unique and enjoyable to taste and observe! Often local ferias will include homemade baked goods and small arts and crafts items making them the perfect place to pick up a few yummy treats. Local ferias usually only operate one day a week so you might want to do some planning if visiting one is on your wish list! Two areas have the unique distinction of specializing in arts and crafts items that Costa Rica has become famous. The area of Sarchi just north of San Jose has established itself over the years as the woodworking capital of the country. They offer many custom made furniture and decorative objects made of local exotic hardwoods. Also famous for the brightly covered Ox Carts Sarchi has many markets full of local arts and craft. As well as many customized furniture pieces they can ship to you. Also different is the village of Guatil which is famous for the pre-Columbian pottery and clay art pieces. They have made them in the area for over 800 years. Though the pottery can be purchased throughout Costa Rica, visiting Guatil is a unique opportunity to see the entire process and get great prices on Costa Rica souvenirs. Some great souvenirs you can get by just going to the supermarket. One very Costa Rican souvenir to bring back home, is Lizano sauce. This condiment is similar to Worcester sauce with a sweet and slightly acidic flavor. In Costa Rica, it is mainly used to flavor the traditional dished like Gallo Pinto. The Britt Company in Costa Rica is quite well known for producing delicious chocolate. You can take Britt tours and learn all about the production process, but you can also buy the chocolate at the supermarket or even at the airport if you need to get a last-minute gift for someone. Next to chocolate, Britt is also known for its coffee. One thing you simply can’t neglect to buy or at least try, is the Costa Rican coffee. The coffee in this country is considered as one of the best in the world and is known for a slightly sweet and full flavor. There are many coffee tours you can take, the best ones being in the Central Valley, where you can taste the coffee as well as buy some. Coffee is of great national importance and is one of the main export products of Costa Rica. Because of its importance to the economy, it is locally referred to as The Golden Bean. The coffee beans grow in nutrient-rich volcanic soil and coffee plantations are cultivated on varying altitudes. There are eight local regions for coffee production in Costa Rica, and each region is committed to the responsible treatment of the natural environment. So visit Costa Rica, take a tour and enjoy the trip, but take a little of it back with you for friends and family! Your Costa Rica trip can have an impact on you, but also on the country that you visit. It would be a great idea to have your souvenir contribute to more than just the economy. Some national parks would offer you the option to buy an item not just as a memory, but also as a contribution to their cause. In Playa Samara, for instance, you can take a tour through he tropical dry forests. In order to contribute to the conservational efforts, you can buy a t-shirt. Your money will fund the planting of a new tree in the forests surrounding this beach! San Jose offers all of the modern shopping options of any large city with malls and streets lined with unique stores! The area of Escazu is well known for its high-end options. Anything that you might want you should be able to find in San Jose. 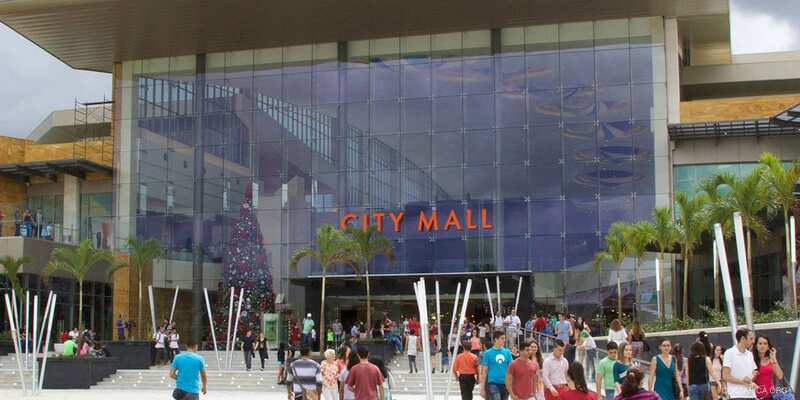 As with any large area, selection and variety can vary between mall. Too, most major chain stores located at any location. For Duty-Free shopping the port city of Golfito designated as a tax-free hub allowing for the purchase of large items including appliances – at significant savings! What a great place to shop for all your Costa Rica Souvenirs.